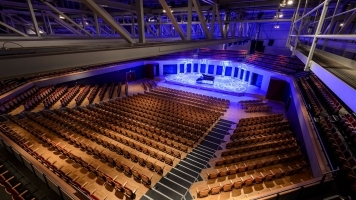 Priority booking is only £20 per person per year as part of the A List membership. Find out more about memberships and buy online. Please note, the membership price does not include a ticket to this show. Join Michael Palin for a flying visit to three momentous decades of his life! 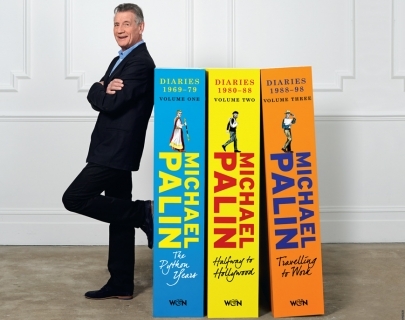 Following the success of his landmark tour in 2014 and to celebrate three decades of diaries, Michael Palin will be marking the paperback publication of the final volume with a brand new show. The Thirty Years Tour will see Michael use his diaries to tell the story of a life lived in the public eye from the end of the 1960’s when his first child and a new television show called Monty Python’s Flying Circus both took their first faltering steps. Monty Python catapulted him into a career which went on to produce not just the legendary films of the Python team, but also Ripping Yarns, railway journeys, feature films like Time Bandits, Brazil, A Private Function and A Fish Called Wanda, a BAFTA -nominated performance in the series GBH, as well as novels, plays, and three of the most successful travel series ever made. In this two part stage show Michael brings to life thirty extraordinary years, trawling through a stock of rarely told stories, ranging from fighting to defend Monty Python in a US courthouse, the Ripping Yarn that never got made, Python’s American groupies and what it’s like filming with your own children. He also talks about the glimpses of his personal life, so painstakingly committed to the diary each morning. The joy of friendships, the loss of loved ones, the pressures of absence on his family and how to deal with a roller-coaster ride of success and failure. And the show reflects not just his own life, but the life of the country in which he was born and brought up as it hurtles towards the Millennium driven by a technological revolution. From the Beatles last concert to the birth of the Euro, Palin witnesses the breathless speed of change. Profusely illustrated with film and video from all his various activities, The Thirty Years Tour is an autobiography, live on stage.